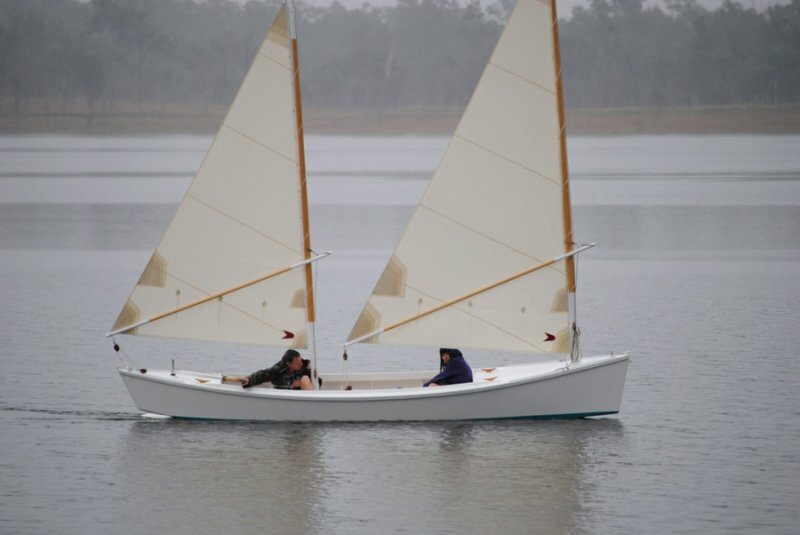 This sharpie was launched at Lake Wyvenhoe, Queensland, Australia. 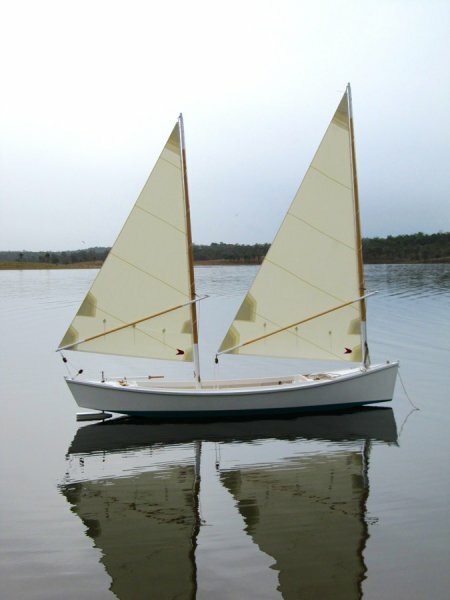 It was built by John Hockings over six months, and was inspired by Bill Schwicker's Egret and his 3 fathom sharpie. Hockings' search for drawings for a canoe-sterned 20' sharpie in the style of Schwicker's boats led to Ross Lillistone who drew the beautiful lines for him. 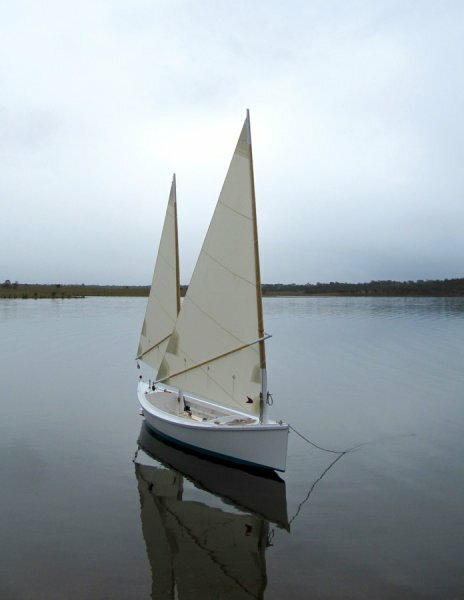 The boat will live in the Great Sandy Straits, a boating haven adjacent to the World Heritage listed Fraser Island.